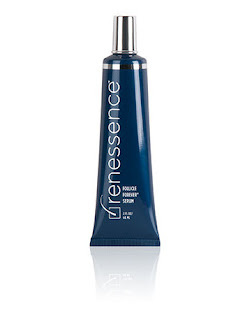 Renessence is a revolutionary bioengineered hair renewal system that effectively and safely combats aging and thinning hair, as it enhances hair health. Are you looking for hair care that will help rejuvenate your hair during these harsh winter months. Winter weather has a tendency of wreaking havoc on hair leaving it dry ad damaged. With Renessence three step hair routine you can make sure your hair looks great through the Holiday's into the new year. Follicle Forever Shampoo is a lightweight daily cleanser that removes dead cells, oil, sebum and product build up. It's unique blend of ingredients strengthen hair follicles and stimulate the scalp to aid in hair growth and leave you with less hair shedding. Follicle Forever Conditioner is a lightweight moisturizer with ingredients that deliver nutrients to the hair follicle. Leaving you with a fuller, thicker, healthier appearance. Follicle Forever Serum is formulated to tackle thinning hair by stimulating stem cells in the hair follicle. I was sent a couple samples of the Follicle Forever Shampoo as well as a full size bottle of the Follicle Forever Conditioner. Unfortunatly I didn't get to try the serum, that's a bummer since I am always eager to try products for thin hair like mine. The shampoo is clear and very lightweight. It lathers up nicely and only a small amount was needed for my shoulder length hair. It smells clean and citrus-y. I could tell from just a couple of uses that this shampoo is high quality. It left my hair feeling super clean. The conditioner is also lightweight. Typically conditioners are thicker but this one, while creamy, was nice and did not weigh my hair down. It left it soft, voluminous and manageable. I was able to run my fingers through my hair without having to use a comb to get the tangles out. I am continuing to use this conditioner because I like it so much even though I no longer have any shampoo samples available. I am considering purchasing some as soon as I finish up my current shampoo. They are offering FREE shipping through December 31 and if you sign up for their newsletter you will receive 15% off your order. Renessence has been featured in Elle, Vogue and Brides magazines. Like them on Facebook to find out more.